When it pays to use a unique discount codes? Do you prepare for yours customers special discount? Do you want change normal campaign on exactly effective campaign? Do you want to make sure, that campaign will not cause too high of discounted sales of products through viral spread? Mobile campaigns in Market Locator you can store unique codes (unique campaign codes) in the message body, which are really unquiet for every users. You can download it after when you create campaign and also upload into yours systems for consumption. How to insert a unique code? When you create template, you can see and choice in drop down (under text editor) “Add unique discount code”. In the text message you can see just for your information command [code], which one will be changing by sending on unique code whit maximum 6 characters. What characteristics have unique code? code is not “case sensitive”, it means ‘xUh67g’ is the same like ‘XuH67G’. How you can used unique code? You have more choice, how you can used unique code. In your account Market Locator you can download in campaign report list of codes directly after created (it means before sending) campaign. This list of codes you can upload to the system on yours branch, for consume also in yours e-shop. The new is, that you can check verify code on this website. 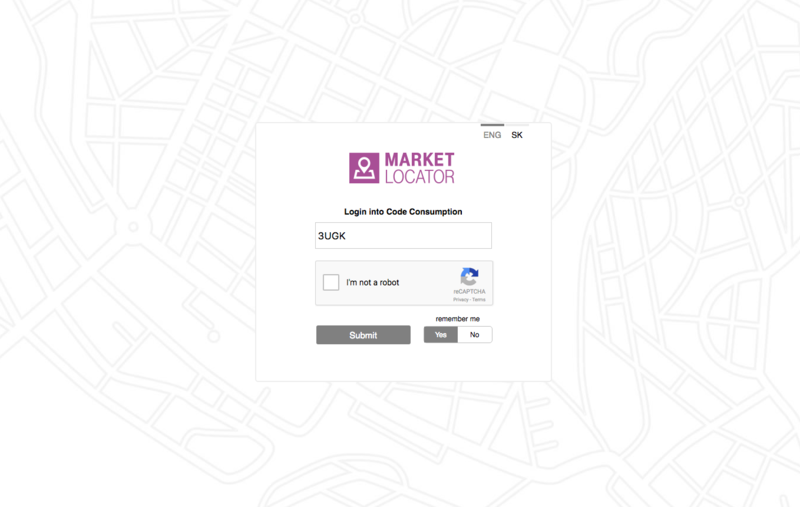 On the page verify.marketlocator.sk you can consume unique codes, that were sent in SMS messages by Market Lcoator, when clients come to branch and show this message.You need to do your business unique ID that can be found in Settings in app Market Locator. When you come for the first time on this, you must enter your ID and confirm it. Subsequently, you can outsource (consumption) codes of SMS messages. When is code validate, automatically is not active and we are measuring every used codes, this information you can find in campaign report.